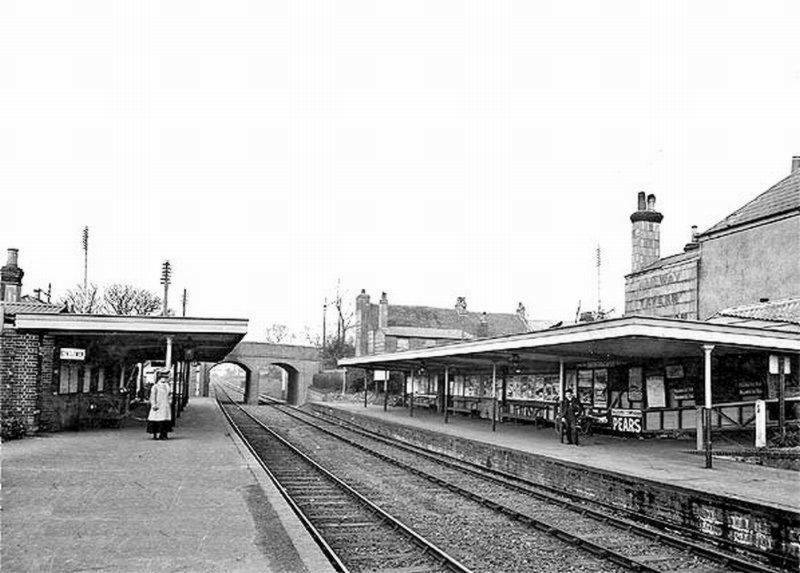 Today in Gosport’s Past:- on 8 November 1866, Stoke Road railway station was renamed Gosport Road. 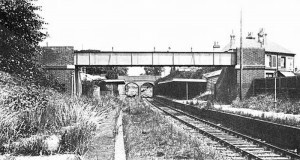 The station (close to where the telephone exchange is now) was opened on 15 June 1865, the same day as the Gosport avoiding line was opened, being that part of the railway triangle between Lees Lane and Gosport South junction (Daisy Lane). 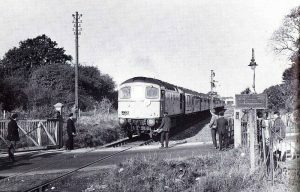 As this now allowed trains to travel directly from London or Bishopstoke (now Eastleigh) direct to Stokes Bay Pier without calling at Gosport, a station was obviously required for those passengers who wished to board or disembark at Gosport, and it was close to Stoke Road – a main artery. 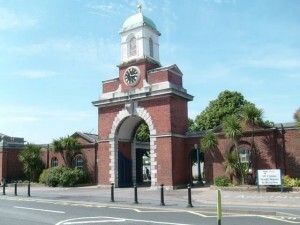 The station began life as ‘Stoke Road’, but I would suspect that unless a person was well acquainted with the town, ‘Stoke Road’ wouldn’t have shouted ‘GOSPORT’ at them; as a result, the name had been changed very soon after opening to ‘Gosport & Alverstoke’, but perhaps this may have misled passengers into believing the station was situated closer to Gosport town than was the case in reality. 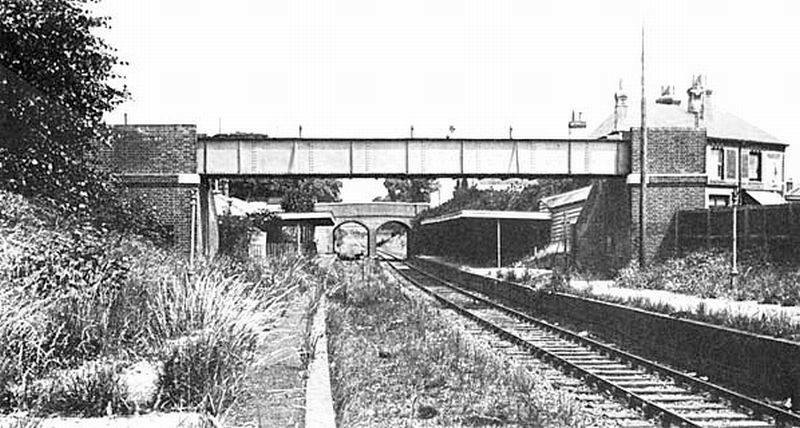 However, ‘Gosport Road’ was finally settled upon, reflecting a popular railway trend to name any station not actually IN any given town (or in many cases anywhere NEAR – try Googling ‘Beaulieau Road’ for instance) the name of the relevant town, with the word ‘Road’ afterwards. 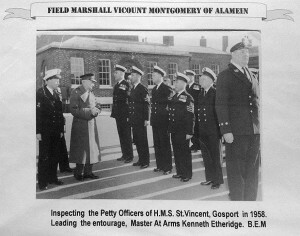 As was the case in Gosport, the unfamiliar disembarking passenger might well have been doubly confused to find that not only was the station some considerable distance from Gosport, but that no such thoroughfare as Gosport Road existed, at least, not locally. Anyway, it seems to have satisfied the powers-that-be, as the name stayed the same for 50 years, until the Stokes Bay Railway closed for good (an ironic turn of phrase, if you ask me) on 30 October 1915.